For over a decade, GreenTech has been at the forefront of the different development drives in the country. 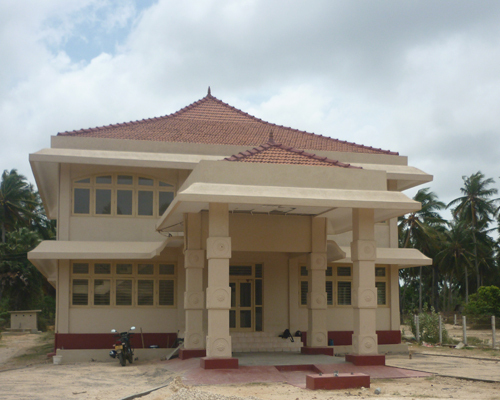 At the height of the civil war (1999-2009), GreenTech consultants was the only local consultancy firm carrying out much needed development work in the conflict affected North and East. Establishing the project implementation infrastructure in these areas enabled GreenTech to actively engage in the surge of development/ reconstruction work carried out in the South and East of the country following the 2004 Tsunami; and the post-conflict reconstruction work in the North and East (post 2009). GreenTech has also been a major player in most of the key national development projects, following the renewed focus in strategic development work carried out across all parts of the country (post 2011). 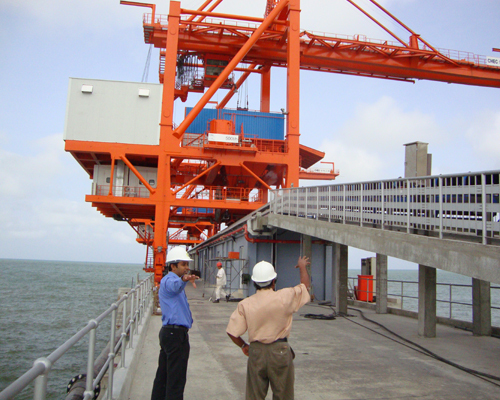 GreenTech has worked in all 25 districts of Sri Lanka. This expansive level of coverage has enabled the company to develop a comprehensive knowledge base of the local conditions for successful project implementation and delivery. Over the last 5 years GreenTech has expanded its international reach to provide its services in countries such as Maldives, Seychelles and the Solomon Islands. 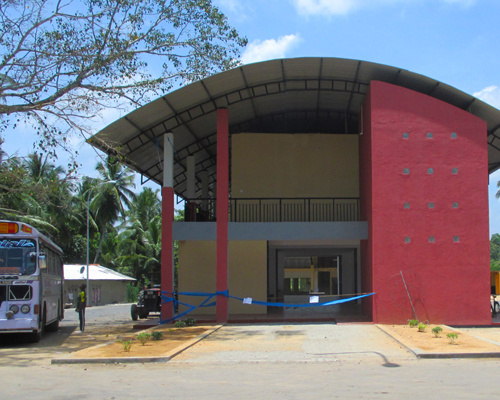 The Central Bus Terminal and Retail Shopping Centre, Dambulla, winner of the Prestigious Geoffrey Bawa Design Award, is a unique multi-purpose facility which was focused on providing the most efficient and convenient facilities to the commuters and terminal users. 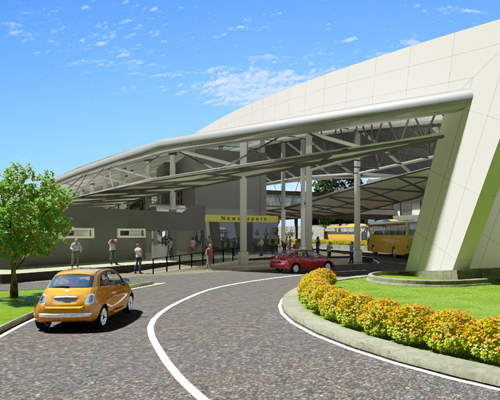 GreenTech conducted the Phase I feasibility studies and detailed design based on a conceptual design of the proposed bus station & market complex. This comprised of carrying out a market survey to identify the potential demand for establishing a market complex. GreenTech Consultants were also the construction supervision consultant responsible for developing Bills of Quantity (BOQ), cost estimate, and contract documents as well as construction supervision of the building complex. The World Bank funded North East Housing Project was aimed at facilitating the reconstruction and repair of damaged houses, under the ?home owner driven concept. This project encouraged displaced families to return and contribute to the revival of the war devastated local economy by engaging in the reconstruction and rehabilitation activities. The targeted investments in rural infrastructure were aimed at creating economic growth and revitalization through the multiplier effect. 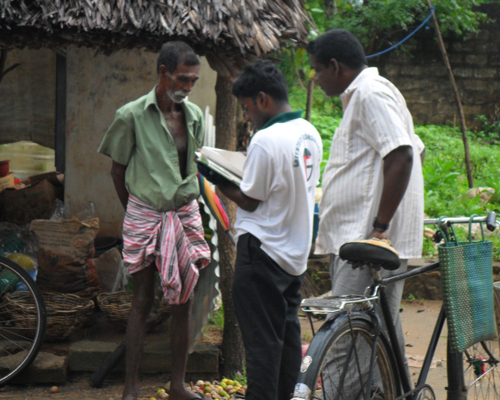 GreenTech through direct interaction with the beneficiary community carried out a Continuous Social Impact Assessment (CSIA) to provide an independent assessment of the social safeguards framework and of the equitable distribution of the program benefits. This helped monitor the social dimensions of NEHRP and in doing so highlighted the risks, challenges, opportunities and problems within the program. The CSIA also estimated the impact made by NEHRP in encouraging the resettlement of the displaced people. 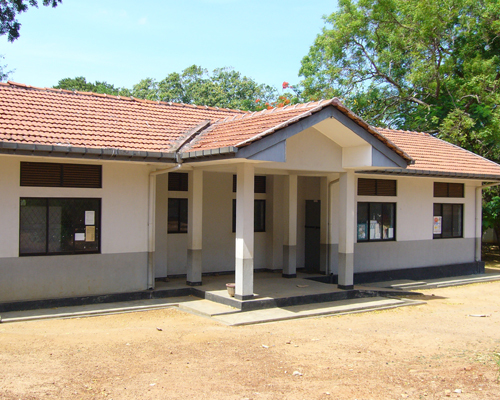 GreenTech was the design and construction supervision consultant for the rehabilitation of five schools in Hambantota District. As the Project consultant GreenTech carried out feasibility studies and prepared the feasibility reports based on the conceptual designs. The detailed engineering designs were based on a child friendly design and were prepared by forecasting for future developments and demand, as well as upgrading the physical infrastructure facilities to withstand natural disasters. 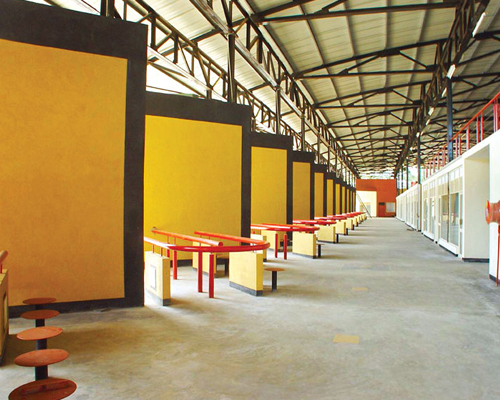 Following which GreenTech was carried out the construction supervision of the schools. German Technical Cooperation Agency (GTZ) funded REPSI Project was aimed at improving the living conditions for the population in selected tsunami-hit districts by focusing on economic, community and social infrastructure development with a special emphasis on the fisheries sector. Greentech was the Technical Advisory Consultant to the Client, involved in the planning of reconstruction and rehabilitation measures, formulating the financial assistance and capacity building requirements. GreenTech was also involved in the project development support assisting Local Authorities in subproject preparation, and Local Authority project coordination and administration. 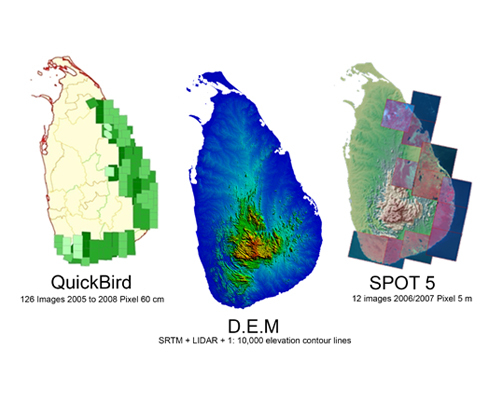 The project was the largest mapping project conducted in Sri Lanka and was focused on the development plans on priority townships along the coastal belt from Trincomalee to Galle. The Project aimed to provide complete cartographic and GIS solutions from high resolution satellite imagery serving as the basis for the implementation of infrastructure reconstruction through GIS oriented applications. In addition to developing a compete post tsunami spatial data infrastructure, GreenTech provided authorities with the technical support, technological and knowhow transfer to implement a sustainable reconstruction program, based on the fundamental datasets required by government authorities. The North East Coastal Community Development Project involved multiple components, for which Greentech was involved in both NECCDEP I and NECCDEP II. Under NECCDEP I, GreenTech conducted several studies including, the review of coral reefs identifying their distribution, ecology, status and threats and analysis of impact of rural and urban development on coastal resources for the Eastern Province. Further to this under NECCDEP II GreenTech carried out assessments on the Mangrove Coverage, Changes in Shoreline Location along the Coast in the Eastern Province using Remote Sensing Technology. 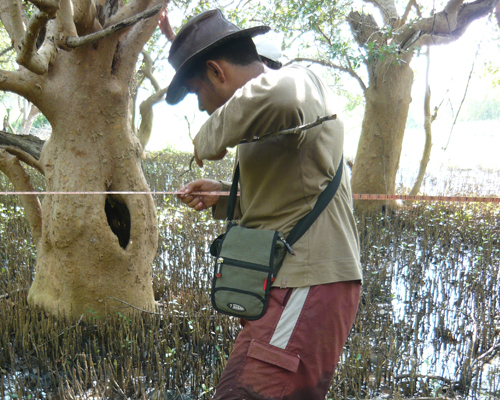 GreenTech developed a mangrove resource spatial information database, and a shoreline spatial information database for Tsunami affected coastal areas. The database was compatible with the Spatial Information System developed by the Provincial Planning Secretariat and the National East Coast Community Development Project Unit, using advanced GIS technology. A successor to the North-East Irrigated Agriculture Project, the Re-Awakening Project funded by the World Bank, was a community based development approach for post conflict development. 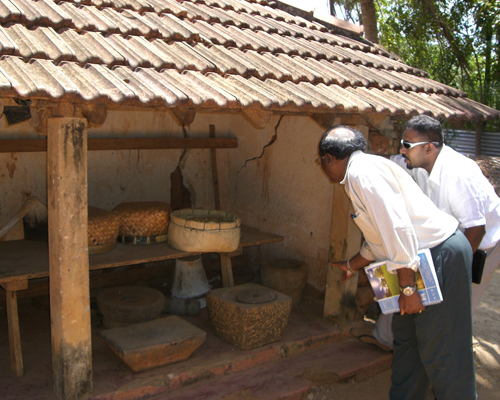 The project offered livelihood development in conflict affected communities in the North and East. 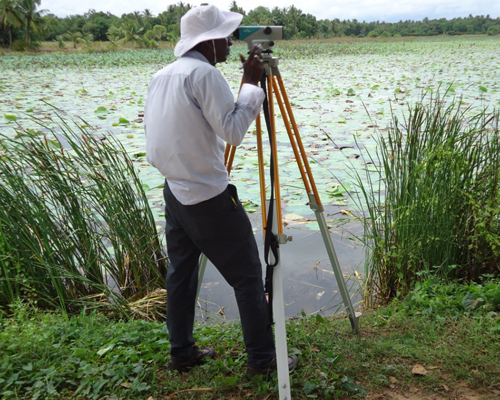 Under this project, GreenTech provided technical advice and project management support for the rehabilitation of minor irrigation Schemes in Trincomalee, Kilinochchi, Mullaithivu and Polonnaruwa. This involved conducting feasibility studies, developing the detailed designs and carrying out the construction supervision, contract management and quality control/ assurance activities as well as providing the technical support to project staff to administrate operational activities. GreenTech is the Design and Supervision Consultant (DSC) for the ADB funded Local Government Sector Enhancement Project in Central, Western Sabaragamuwa and Uva Provinces. Under this project, GreenTech is currently implementing 213 subprojects in 108 Local Authorities in all four provinces. The subprojects involve upgrading public infrastructure including, the design and construction of local roads, rural water supply infrastructure, public buildings, and administrative buildings. Further to this it also conducts capacity building initiatives for local government administrators, to ensure the long term operation and maintenance of these investments. As part of this project, GreenTech carried out the pre-feasibility studies and technical, financial feasibility studies, based on which detailed designs were developed and construction supervision and contract administration is being carried out for the different subprojects. All projects are carried out in accordance with the environmental and social safeguards of the ADB. 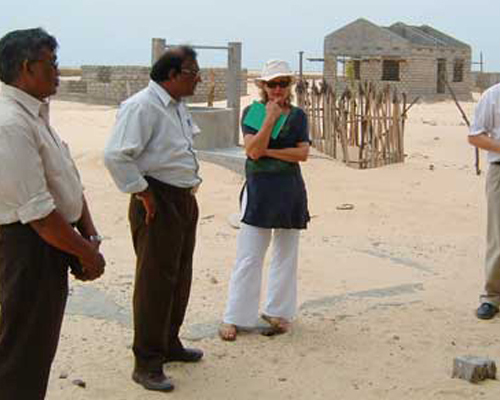 The Jaffna - Kilinochchi Water and Sanitation Project is the largest ongoing water supply and sanitation project in Sri Lanka that aims to provide urban water supply and sanitation services in the Jaffna Peninsula and Kilinochchi District by rehabilitating and strengthening the water treatment, transmission and distribution system. The project aims to provide 300,000 beneficiaries with safe drinking water supply and 80,000 beneficiaries with access to sewerage facilities. The project interventions mainly involve improving water supply, sewerage and sanitation infrastructure. A significant component of the project involved the strengthening and capacity building of the National Water Supply and Drainage Board. GreenTech Consultants along with lead firm Grontmij A/S, reviewed and updated the feasibility studies, carried out various technical investigations (including bathymetry, and wave studies) and are subsequently carrying out the detailed designs and construction supervision activities. GreenTech is the Design and Supervision Consultants (DSC) for Makumbura Multimodal Center under the JICA funded Township Development Component ? Greater Colombo Urban Transport Development Project/ Outer Circular Highway Project. This project is a landmark project in Sri Lanka as it is the first of its kind to provide multiple transport modes (bus, rail) within an integrated transport hub. As the lead consultant for this project, GreenTech has been involved in the feasibility studies, detailed designs, and contract administration and construction supervision activities. 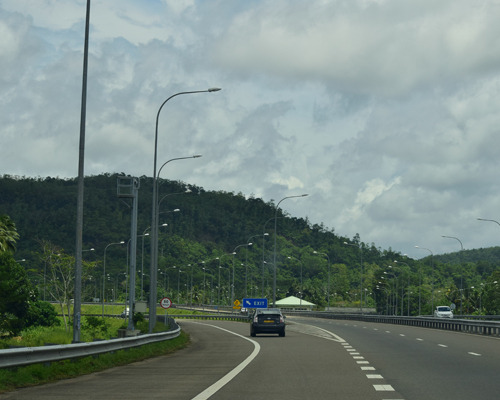 The Markumbura MMC is located in close proximity to the Kottawa interchange of the Southern Expressway, and is the central project around which the urban revitalization of Kottawa town is planned. 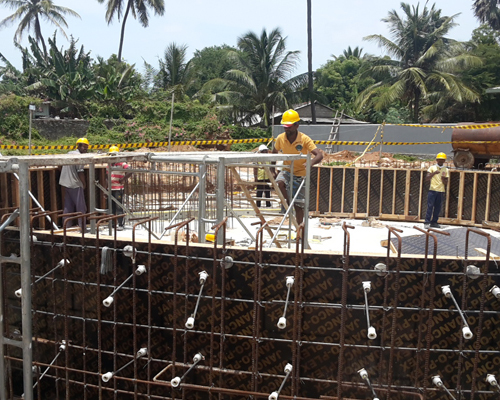 GreenTech is the construction supervision consultants engaged in widening and the rehabilitation of 12 roads (64.62 Km) and widening of the Nawala Bridge, under the National Highway Project Colombo funded by the OPEC Fund for International Development (OFID). Rehabilitation activities included carrying out improvements to road formations, embankments, pavement, flooding areas, carriageway widening, culvert replacements and augmentations. In addition to conducting the technical investigations and surveys for these improvements, GreenTech Consultants conducted pre-construction review of designs and thereafter the construction administration of the civil works contracts in compliance with the environmental and social impact mitigation requirements under the project. 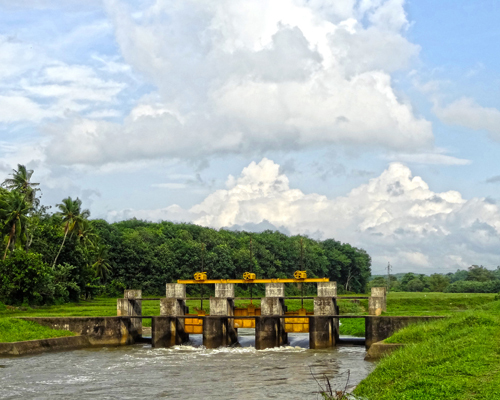 This vast project covers 10 of the major River Basins in Sri Lanka, spanning over 46% of the total land cover of Sri Lanka. The aim of the Project is to create targeted basin investment plans that focus on improving structural and non-structural components which will help reduce the vulnerability of exposed communities and properties to climate risks. A key aspect of developing these basin investment plans include the climate modelling of the associated flood and drought risks using sophisticated modelling software such as TURFLOW and MIKE Basin. The project also aims to improve the government?s capacity to respond effectively to climatic disasters through vigorous training and capacity building. As the local consultant to the lead international firm Atkins UK, Greentech provides the local technical expertise in the areas of hydro-metrology, flood modeling, water resource planning, operation optimization, hydraulic and structural design, flood and drought damage modeling, and GIS and spatial planning. The Extension of Southern Expressway Project (ESEP) will link Matara and Hambantota by extending the existing southern expressway which connects Colombo and Matara via Galle town. GreenTech along with its international partners are the design and construction supervision consultant for section 1 ? Matara to Beliatta. The key construction initiatives include, detailed engineering designs for structures, soft soil treatment and toll system including all related facilities, and construction of the entire 30km long new outer 4 lane expressway with provision for expansion to 6 lanes in the future. 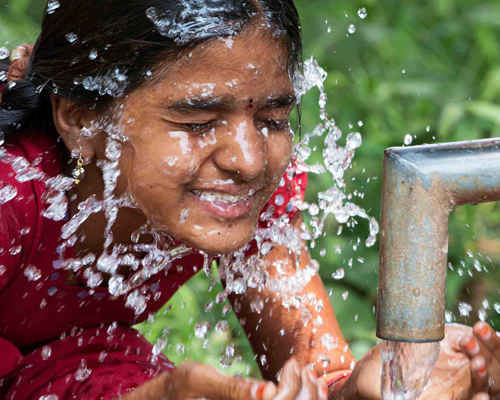 The project will directly benefit approximately 107,000 households (426,000 people) by providing safe piped water, and this includes households in urban towns, estates and rural areas. 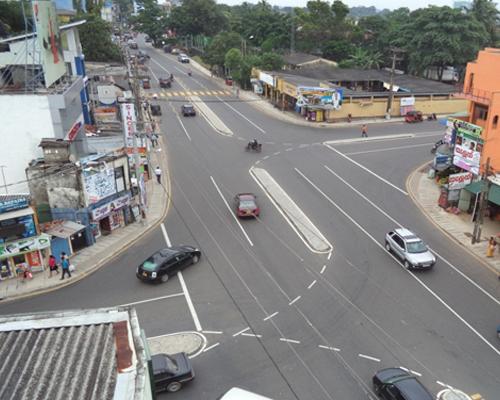 The seven priority Districts Mullaitivu and Kilinochchi, Nuwara Eliya, Badulla Moneragala Kegalle and Ratnapura remain some of the most impovershied districts in the country. The project comprises of four main components, namely: water supply and sanitation infrastructure development that includes the Construction Monitoring / Technical Guidance, Community Mobilization / Training and Awareness of Communities during Implementation of Works, Institutional strengthening which involves Institutional design and capacity strengthening local actors to ensure long term sustainability of the investments and, sector capacity building, which involves the Preparation of a comprehensive National Water Supply and Sanitation Sector Program. The Central Bus Terminal and Retail Shopping Centre, Dambulla, winner of the Prestigious Geoffrey.. Distance Education Modernization Project GreenTech carried out needs assessments for the design, development and delivery..